Season 2 of Lifetime’s unexpectedly great series UnREAL will do what the real-life Bachelor has strangely never done, and feature a black bachelor. 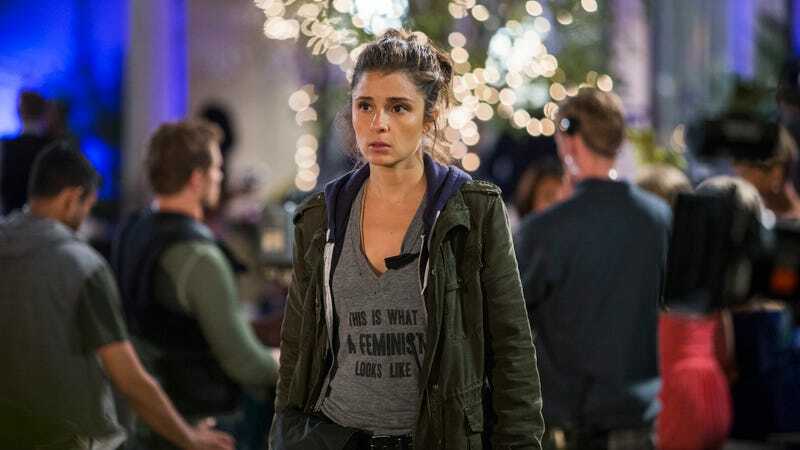 With a black man as a central character on the show’s fictional reality series Everlasting—to play off the lead Rachel (Shiri Appleby)—this season has the potential to be as equally entertaining as it is enlightening, and maybe even artfully offensive. The executive producers said the show will focus on the controversy raised when “Everlasting,” the show-within-the-show, casts its first-ever African-American suitor — something “The Bachelor” has famously yet to do. “There are few things more pressing than this conversation,” said executive producer Sarah Gertrude Shapiro. “I’ve heard appalling things about race all the time,” she said, referring to her experience as a producer. The show’s writers will hopefully find creative un-PC ways to address these racial tensions and touch on some broader important issues in the process. The cast and crew have also revealed that men’s rights will be a topic of the season, in contrast to the first, which heavily focused on the farce of marriage and finding a perfect life partner. The show, mercifully, hired more male writers to tackle this particular story line, because men have problems, too.